You know what sounds even better? 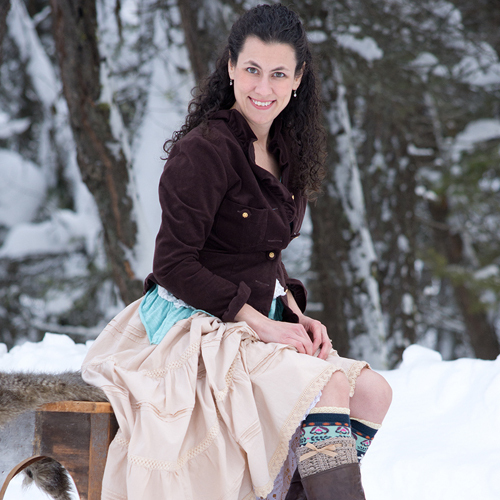 A whole 3 MONTHS of free crochet patterns to help get you ready for the Holidays! I kid you not, Underground Crafter has organized a *huge* CAL event that runs until December 11, 2017. Plus, there are tons of prizes that you could win–all you have to do is share a picture of your finished piece over here, at the bottom of this post. 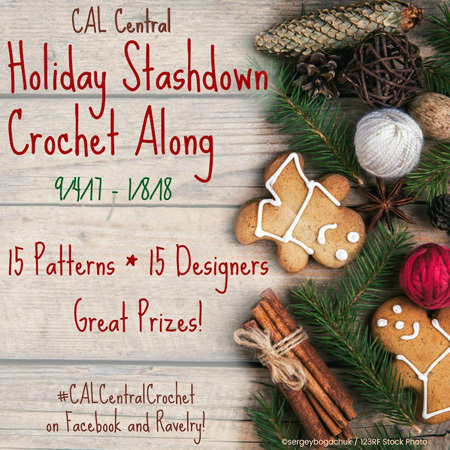 And to make this experience even more fun, you’ll be able to join in with other awesome crocheters like yourself at the CAL Central Facebook group while the event is running! Who doesn’t want some extra support, and friends to cheer you on? What about some free, printable gift tags? Anyway, on to the pattern for today! Because this cowl is so basic, using a self-striping yarn will really bring this project to the next level. I used a beautifully colored, and textured yarn from Hobby Lobby called “First Love” and believe any of the colors in this line would work wonderfully with this design. 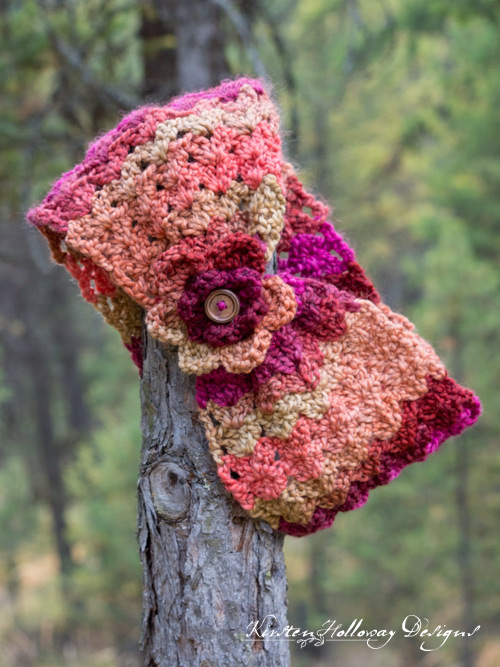 -If you have extra yarn in the same color, it’s possible to turn this into a shrug by using a starting chain count of 43, and repeating row 2 until the piece is as long as your shoulders are around, then continue with the pattern as written. You will need more than 1 skein of yarn to complete it. Repeat row 2 until your piece is 20″ (x-small), 22″ (small), 24″ (medium), 26″ (large), 28″ (x-large) long. Sew ends together using the whip stitch. There should be a little yarn left over after you finish sewing the ends together. Run that length back through the center of the whip stitches and pull to cinch the cowl so it is narrow at that point. This is where you will put the flower once it’s made (see next step). Round 4: sl st into first ch-3 space, [hdc, dc, 2 tr, dc, hdc, sl st], move to next ch-3 space *[hdc, dc, 2 tr, dc, hdc, sl st], move to next ch-3 space* once you have completed this round you will go immediately into the band that holds the flower to the cowl. Ch 6, place flower on top of cinched part of cowl, wrap the chains around the cowl and sl st into the opposite side of the flower. This will fasten the flower to the cowl. Note: You may sew the flower in place instead if you prefer, but the method mentioned above will probably use less yarn, which is important if you are making the x-large size. Fasten off securely and weave in ends. Sew a button into the center of the flower. Thank you for joining me for this fun little project! When you purchase something using these links a small amount of the sales price goes to me to help keep this site, and the patterns on it free. You do not pay any extra for the item you purchase. How cool is that? Love the pattern! Made it but wasn’t totally clear about attaching the flower – especially the part about slip stitching on the opposite side of cowl. Do you have more detailed directions and/or photos, videos? Thanks!